What does “Dial” mean, as in “Dial a Phone”? Is it a verb, to Dial – or is it a noun referring to the wheel on a rotary phone? Do we dial touch-tone phones ? 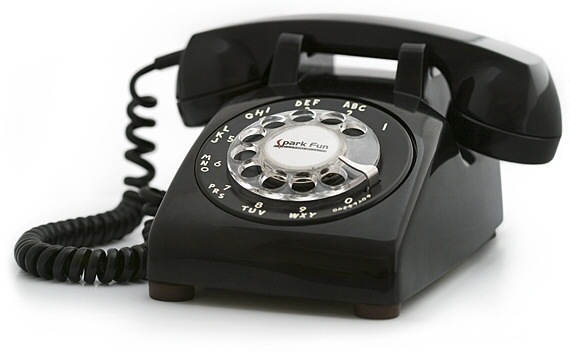 Does the term “Dial a number” require a specific type of phone or can any (rotary or button) phone suffice? I believe the act of dialing a phone is simply entering the digits. Dialing used to represent addressing a call via a rotary dial, but since that became obsolete the language adapted to represent any form of addressing a call. It is unnecessary to say “Press buttons to dial.” Yet, we do say “Click to dial.” We don’t say “click to Email” or “click to IM”? We seem to know interfacing with computers requires clicks of some kind – yet dialing requires additional instructions. How about “Ring”? Presumably, a the ring comes from the sound the bell made when a phone rang. But our phones don’t have bells any more. The fact there are no bells hasn’t stopped us from “ringing phones.” “Ringtones” generally represent just about everything but a bell. Does a Ringtone give an angel wings? While these terms stuck, some didn’t. What became of “Telephone”? For the most part, it’s just “Phone.” “Tele” seems to represent “television” as in “what’s on the Tele?” (I know…”looks like a penguin.”) Meanwhile the “phone company” doesn’t make phones any more. None any of the cell phone companies describe themselves as “phone” companies. They prefer “wireless.” I thought “wireless” was for a radio. As in “sit by the wireless for a fireside chat.” What kind of “chat” occurs over a one way device? Can a “wireless” be any radio? I like Pandora radio – though sometimes I use a cable, is it wrong to use a wire on a wireless? “Wireless phone” is ok, but what was wrong with the initial, simple, and to the point descriptor of “cordless phone”? A cordless phone is generally assumed to be a (residential) analog phone (without a cord). If the phone uses cellular, wi-fi, or Dect technologies it then becomes “wireless.” I’ve had several “wireless phones” that require a cable to update information. The newer phones update wirelessly, but that’s not a wireless update – that’s an “Over the Air” or “OTA” update. Isn’t the opposite of a cordless phone the same thing as the opposite of a wireless phone? A phone system should never be confused with a router. A phone system always automatically routes calls, but only some have the feature of Automatic Route Selection (ARS). A router only sometimes routes calls, but never has ARS as a feature. If that isn’t clear try this; an IP phone system first completes its critical task of routing a phone call using important network criteria; then it sends the call to a router to route the call based on important network criteria. The two are completely unrelated, though sometimes found on the same device. Interconnect: In our highly interconnected world, what makes a PBX so special? Key System: Where a key system ends and a PBX begins is anyone’s guess. POTs: Was an acronym really necessary? Becoming to mean cellular service plan without the data option. Modified Final Judgment (MFJ): An oxymoron. 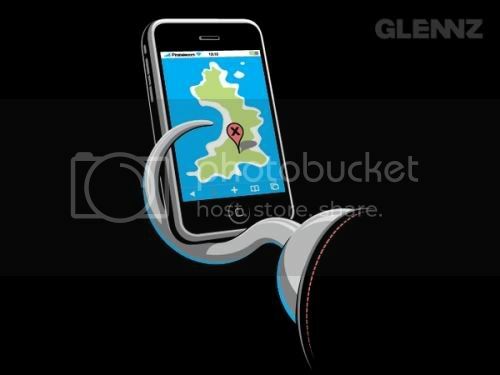 On-Hook & Off-Hook: The phone is (effectively) off when “on-Hook” and on when “off-hook.” It made sense when phones had hooks, but now it just seems conceptually backwards. What is the accurate state description when Captain Hook places a call? PBX: I never understood the term “Private Branch Exchange” – and the acronym is misspelled. Brought to you by the communications industry.